The notion that people do not want to read anything that is more than a few hundred words is patent nonsense. After all, if that were true why would there be more full-length books being sold each year now than there were ten years ago? Yet the perceived wisdom on the web is that you shouldn’t really write anything longer than 400 words. Every week I am asked “how long should a blog post be?” And every week my answer is the same – as long as you like. In spite of this, though, people tell me that only their short blog posts get read. They say that we live in a world surrounded by short form communications such as Tweets and simple messages on Facebook. They tell me that people don’t have the time to read long articles on web pages. And it isn’t just me who says this is a theory borne out of assumption. The good folks at Google have evidence. When you look at a graph of the ranking of websites you find that the sites that get the highest ranking positions are the ones with the biggest word counts. Now Google would not rank high word count sites at the top of the list if people were not clicking on them. Google knows that what we click on is long form material. Hence, they rank high word count pages above those with low word counts. There is other data that shows the value of long articles, too. An in-depth analysis of blog posts found that longer articles got more sharing and more links as a result. So what can we infer from this? Links and sharing are human activities – we have to decide what we want to link to and share with others. It is clear that the decision most frequently taken is to provide links to long articles, not short ones. That suggests we value long articles, more than we value short ones. Furthermore, Google understands a great deal about our website behaviour and therefore knows we prefer longer items of text to shorter postings, otherwise its algorithm would prefer short items over long ones. It doesn’t do this; it does the reverse showing that people prefer long articles. However, there is also evidence that people do not read everything. They skim web pages and many do not even scroll down if they can’t see the whole thing. Others leave halfway through. Some do not go beyond the headline. So why on earth would anyone advocate long articles? What is the point of writing material people will not read? If your business monitors where people click or scroll through your web pages, such as the “In-Page Analytics” section of Google Analytics or by using a system like ClickTale, you can often see that the interest in your web pages drops off, the longer the page is. So, there is clear evidence that people do not like long content. Conflict. Some evidence from analytics, heat maps and the like, show us that people prefer short content. But evidence from Google and sharing show us that people prefer long content. Which evidence do you believe? Pause. Deep breath. I have a shock for you. It has ALWAYS been this way, even before the Internet. The Sunday Times newspaper will clatter through your letterbox making a real thump on the doormat. 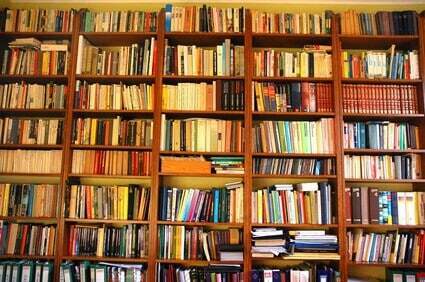 In its myriad of sections there are several hundred thousands of words making a couple of novels’ worth of text. Yet most of it is not read, even by the subscribers. Reading analysis of any national print newspaper shows that people often give up reading articles before they are even half-way through. So why do the newspapers persist in producing such vast amounts of text that few people read? After all, that’s a cost to their business. The answer is simple: the “thud factor”. If a business report lands on your desk with a thud, you reckon it is more worthwhile than a flimsy two-pager. Long copy is about trust and credibility, not about reading. People will read long blog posts, if they are gripping and interesting or provide solid, practical solutions to their issues. However, people do not trust or believe to be credible websites where the articles are short. In essence, human beings “weigh things by the pound” – the bigger or heavier it is the better it is. True, there are exceptions, but on the whole we value bigger over smaller. We are prepared to pay more for hardback books than paperback equivalents. We pay more for big houses, compared with identical functioning smaller ones. Big engines in cars attract greater attention than a puny 1-litre, yet both cars still get us from A to B. There is an in-built assumption that mostly big is good. That means, when we see a website with lots of text we instinctively trust it. Even if we don’t read all of it, we trust what we have read and find the web page credible. So important is this element of web pages that Google are now highlighting “in-depth articles” on its search results. Sometimes, when you search for something you will find a panel at the top of the search results showing the in-depth text that is available. So important is long copy that Google is emphasising it. Long articles are vital to your website success. They engender greater trust in your human readers but they also lead to search engine and linking benefits, bringing you more traffic. Don’t believe the people who tell you that your articles and blog posts need to be short. Write long articles, but just accept that not everything you write will be read. Some great tips here, as ever Graham, thank you! Will start to add more depth to my blog posts as a result.